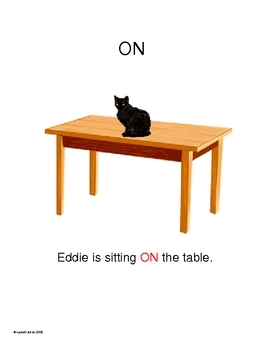 When I was a student, my teacher told me that a preposition was anywhere a cat could go! To this day, I remember that lesson. 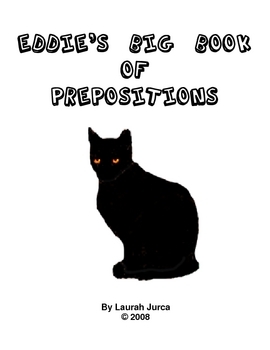 With that inspiration, I created this book to help my ESL students learn prepositions. 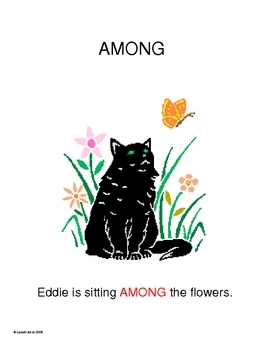 It is great for elementary native speakers, or ESOL students of many grade levels. 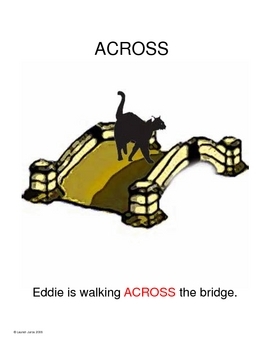 This book, with full color, original graphics, includes the preposition, a picture, and a sentence on each page for many common prepositions. I recommend printing the book on cardstock, laminating it and binding it with a plastic spiral binding (many schools have these available for teachers to use). However, the pages can be individually printed and used as posters also!